Here are two very lovely, small, owner-run hotels that also cook and serve great food and don't allow young children. 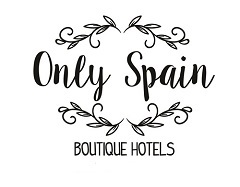 This year I’ve gallivanted around Spain again, covering lots of kilometres, new and interesting places and staying in some really great Boutique Hotels for OnlySpain. Here I’m going to share two very lovely, small, owner-run hotels that also cook and serve great food and don’t allow young children. One at a beach destination but not on the beach and the other a rural mountain village hotel – both are fabulous. Enjoy. Gandia is a beach town in the Valencia region on the Spanish Mediterranean coast, not a spot you’d think of for a quiet escape. Hotel La Gastrocasa offers just that, away from the hubble and bubble of the beach but only five minutes or so by free-to-use hotel bike. In a sleepy urbanisation this once family villa is now a gorgeous 5-bedroom adult-only hotel. Hubby and I stayed two nights and couldn’t fault a thing. The service, by the family, the food and presentation, by the family, the individually decorated rooms (yes, I got to see them all) and the fabulous breakfast spread. For a real country-feel escape yet on the coast with the beach nearby then this charming hotel is for you. Read more about Hotel La Gastrocasa. Cartijima, a small, white village in the huge mountain range Serrania de Ronda is home to the lovely Hotel Los Castaños. A quiet, sleepy town providing the perfect setting for a step-back in time, relaxing stay. Hotel Los Castaños with only six rooms provides an escape, a base for walking, great hosts and home-cooked food, you’ll feel as if you’re staying with friends, perfectly relaxed and at home-comfortable. Huge rolling mountain views from some rooms and the pretty roof terrace are to die for, it is impossible to see those views and not take a deep breath of calming satisfaction. Our one-night stay was just spot on, had we stayed longer I, who cannot draw or paint, would have had a go, with the provided artist materials, to capture those enormous views. Read more about Hotel Los Castaños.